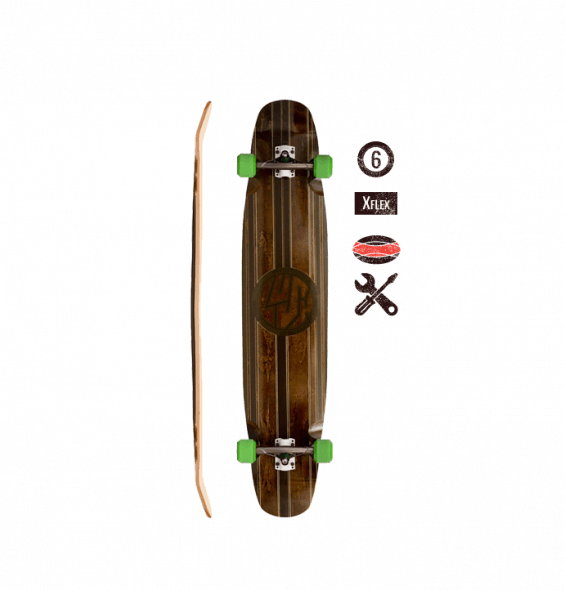 Lush "Mako" Pintail Longboard | 44" x 9.5" | New 2019 Setups Available! 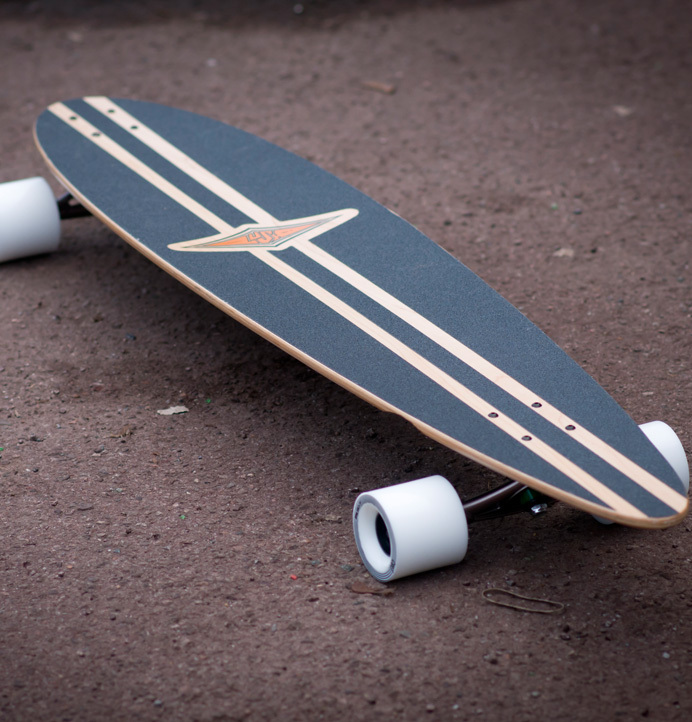 The Mako is our Pintail Longboard. 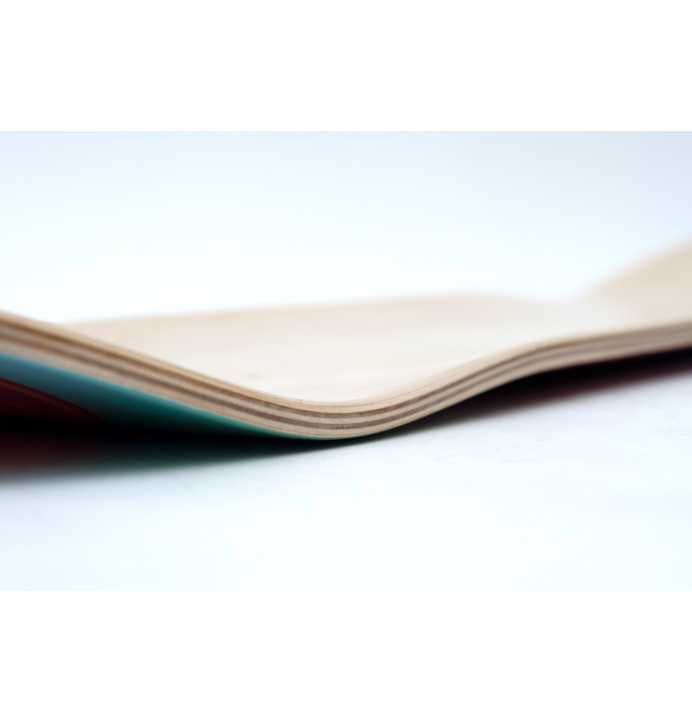 We’ve been making pintail longboards shapes for a looooong time. 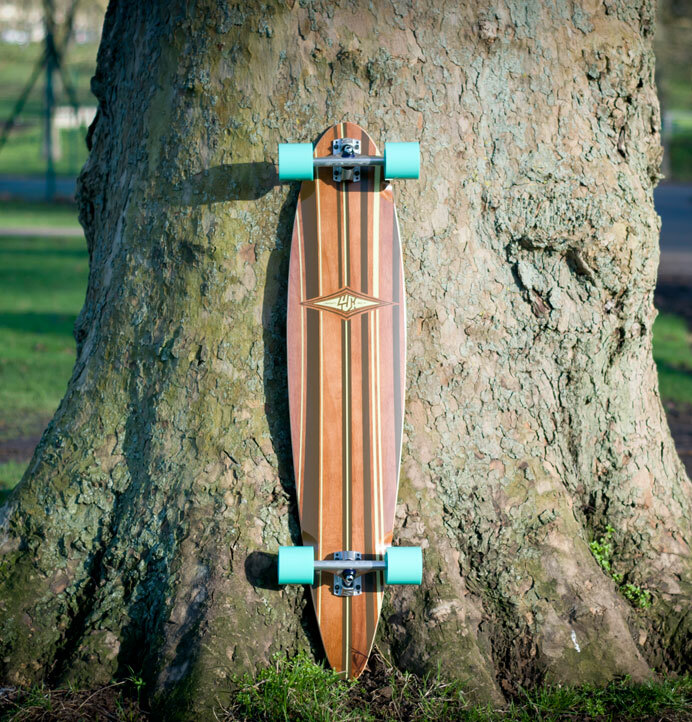 In fact the first ever Lush Longboards that we cut out from flat birch in our cellar workshop were pintails. If you’re new to all this, the pintail is the archetypal longboard shape. 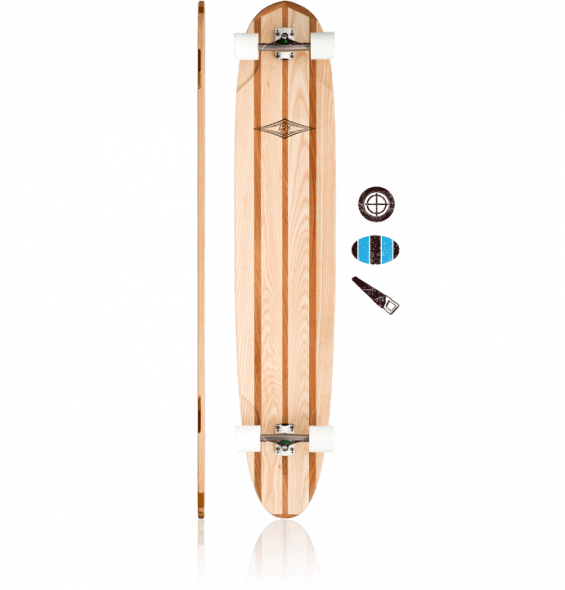 Derived from Big Gun surfboards, pintail longboards are made to cruise in style. 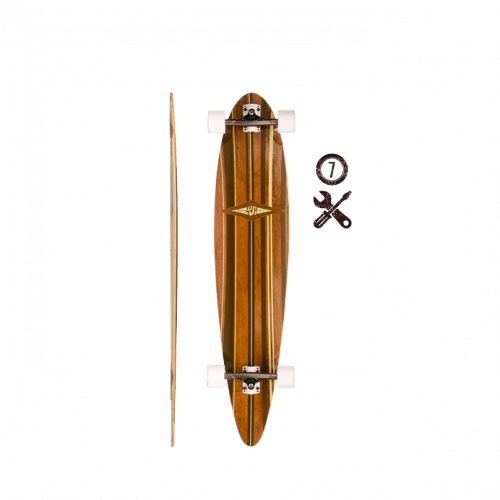 For starters – it’s long!! 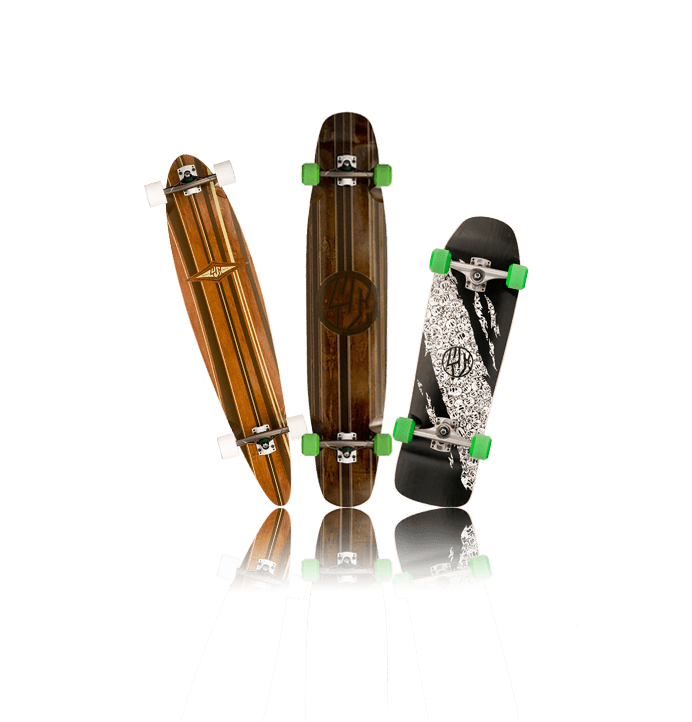 Longboards have trended towards shorter and shorter lengths in recent years – not so the Mako Pintail, a full 44″ of deck. We think that too many longboards these days – especially pintails – are way too short. 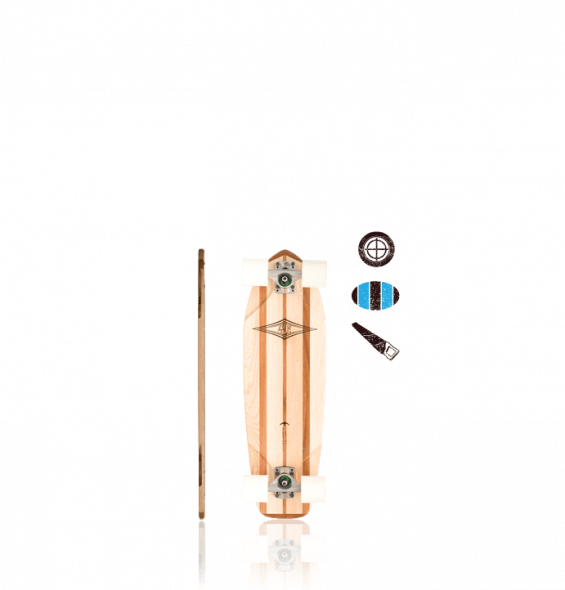 And often not wide enough, either. 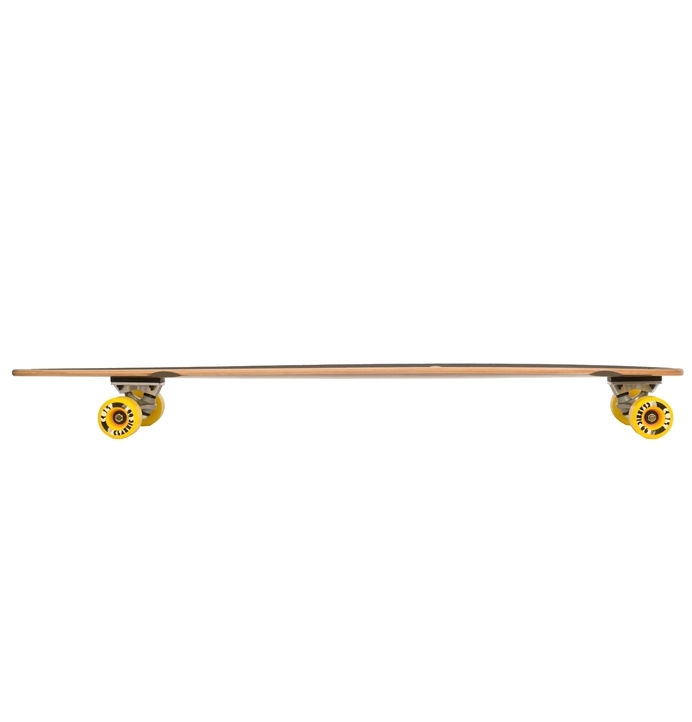 So to bring things back to our roots, we’ve made the Mako a full 44″ long with a 30 3/8″ wheelbase. 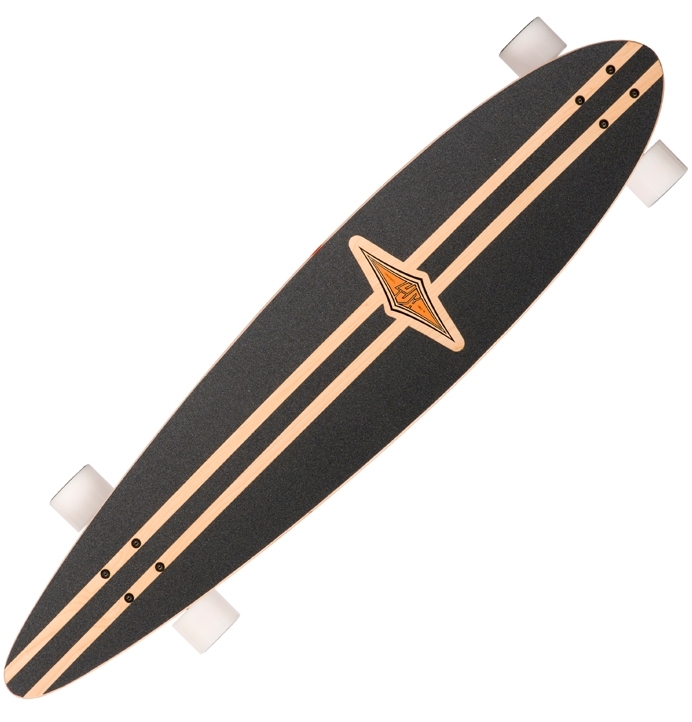 The Mako is a Proper Longboard. Stick some loose trucks on there, throw some turns down and you’ll remember what this longboarding thing is all about!! 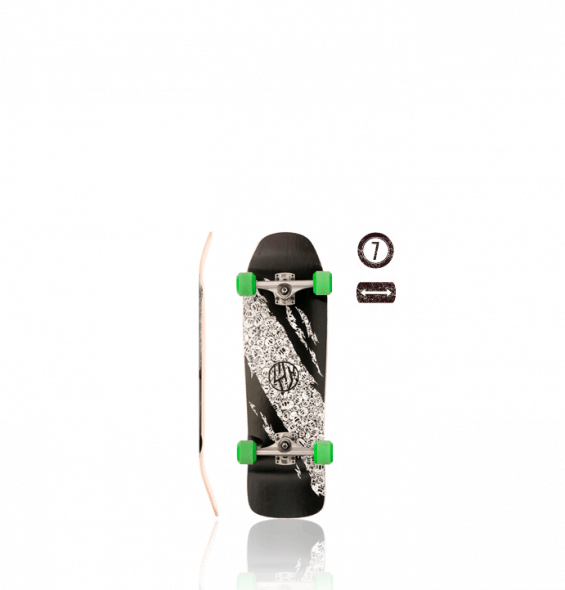 The other thing that sets the Mako apart from all the other pins out there is the shape and standing platform. 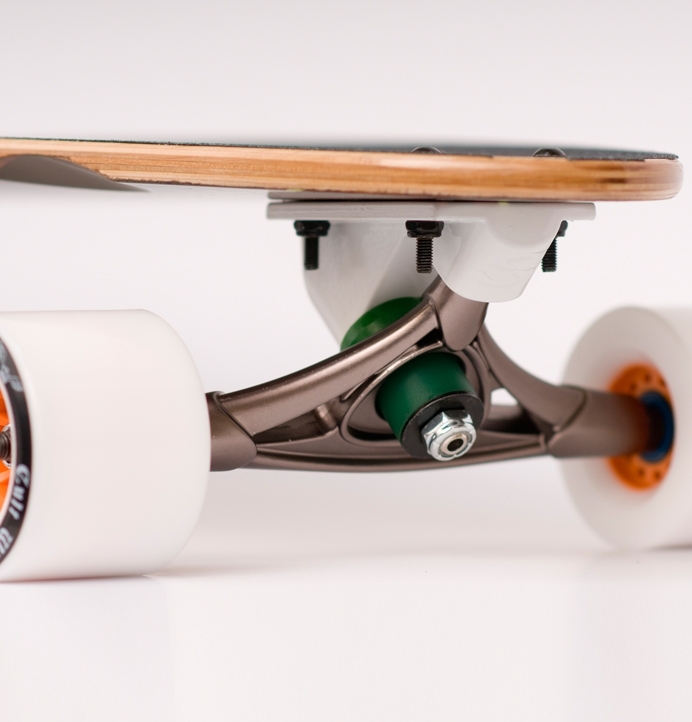 The pintail shape, by nature, is narrower over the wheels and trucks – which leaves very little room to stand on. 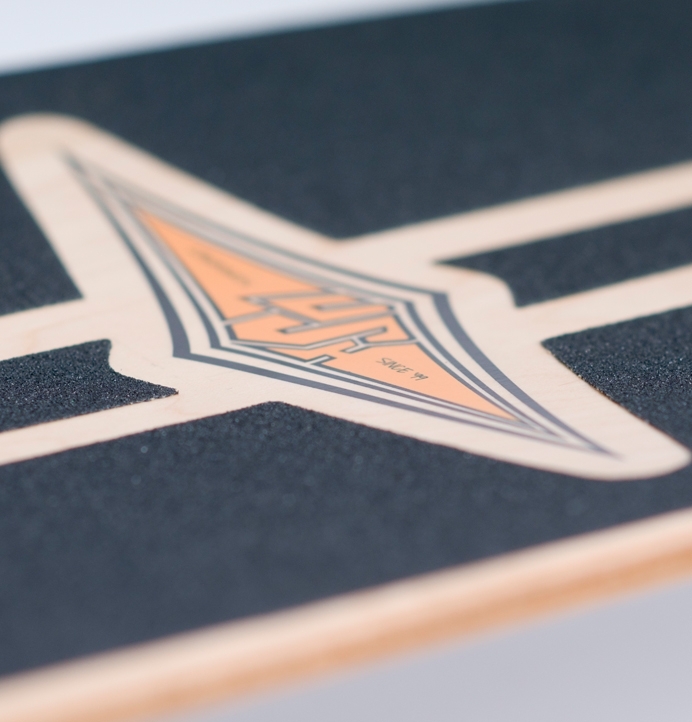 Yes, they look nice… but we want to make something that really skates well, too. 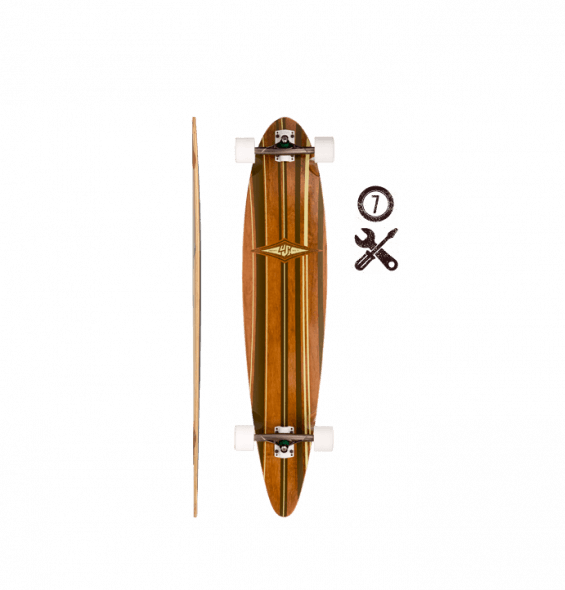 So we’ve started from the ground up and added some extra wood where you need it most. The nose and tail on the Mako are way wider and more usable than most other pintails. 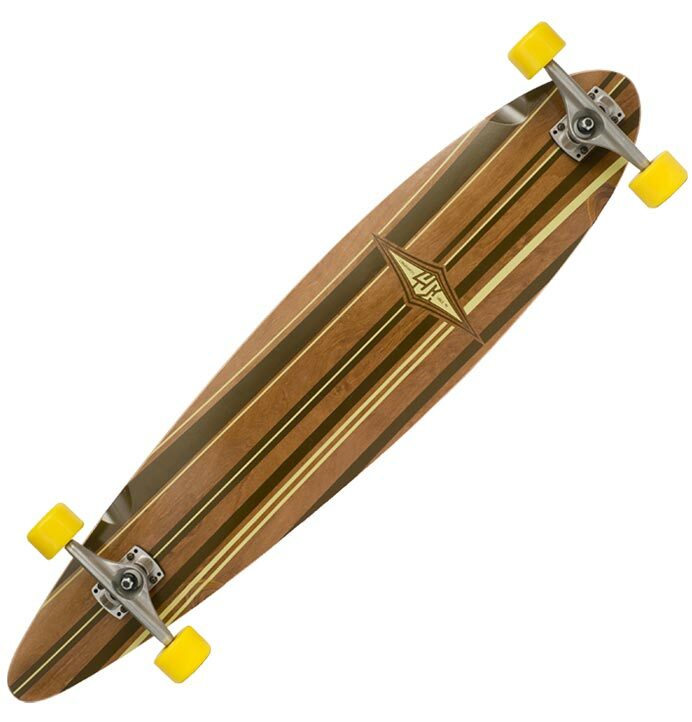 You even have enough room for some cross-stepping, sliding or even a tuck if that’s your thing. 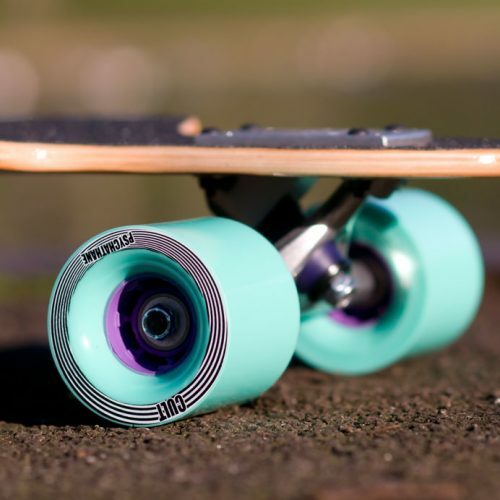 This isn’t just a pretty face. 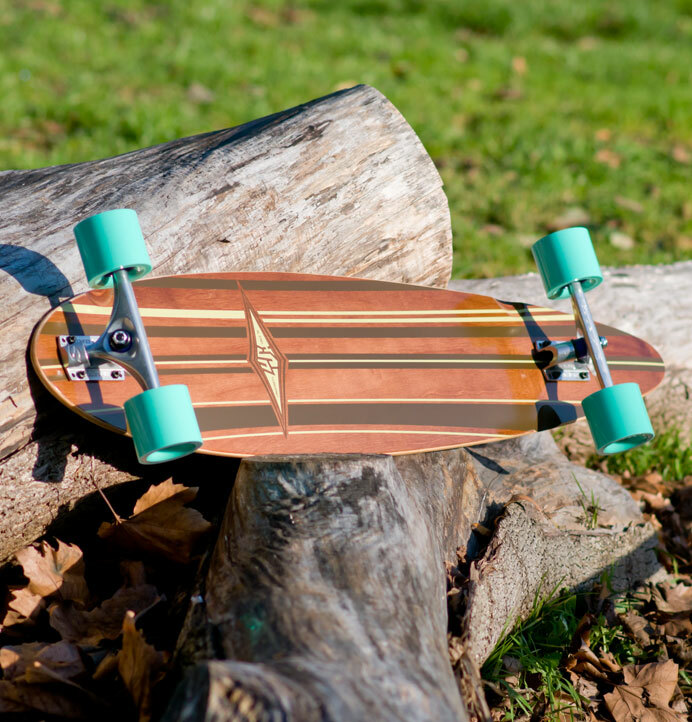 The Mako is ready for whatever longboarding adventures you want – cruising, carving, dancing, sliding or even a bit of downhill. 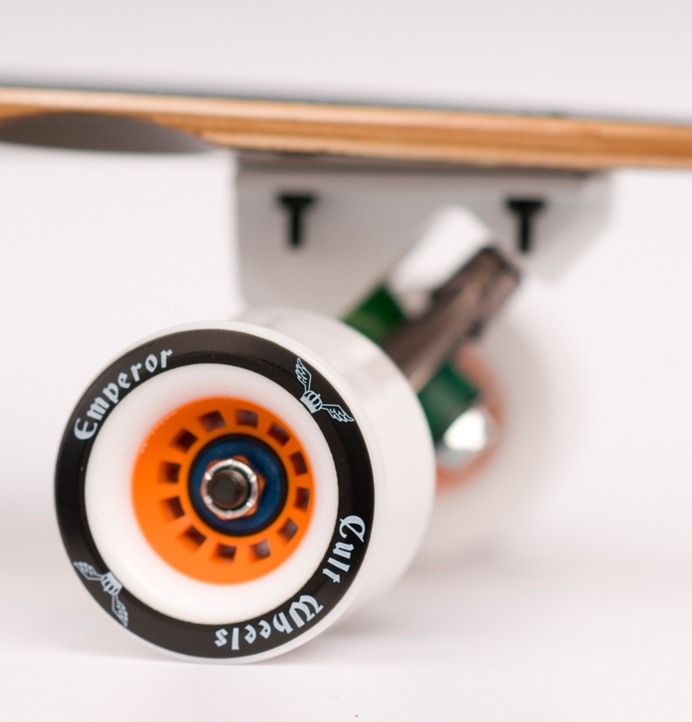 We’re only using premium Sabre Trucks and Cult Wheels on the Mako completes. 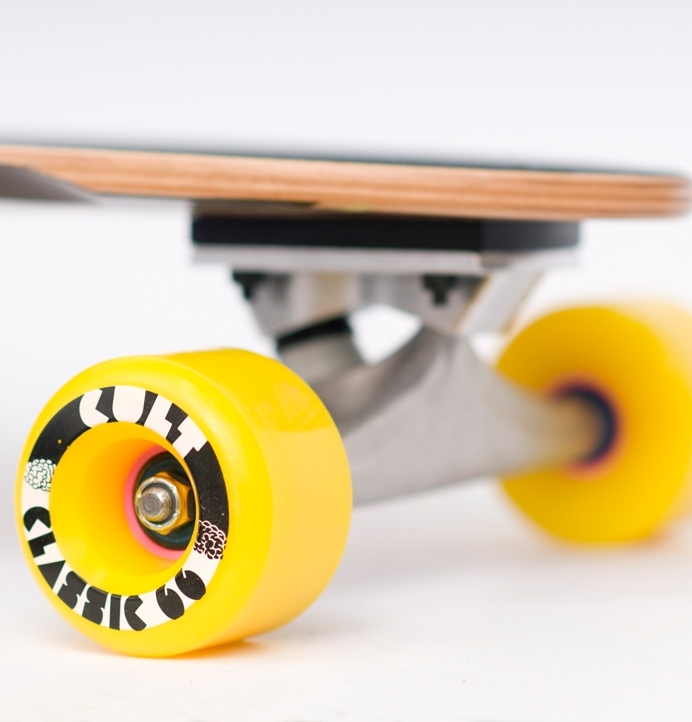 Given that the trucks and wheels are just as important than the deck (if not more so! 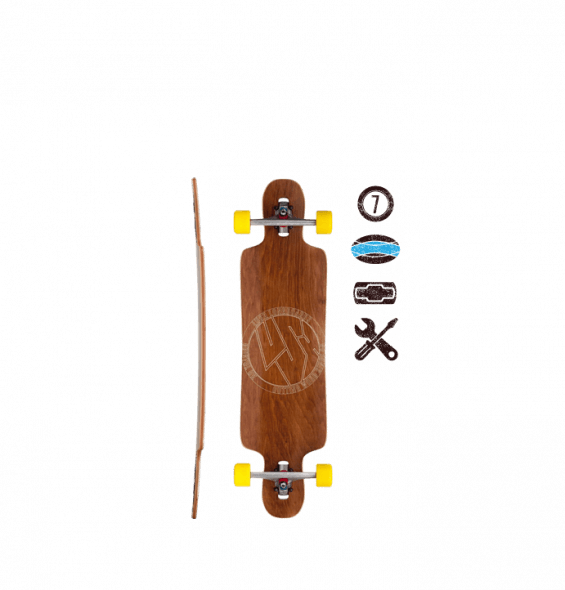 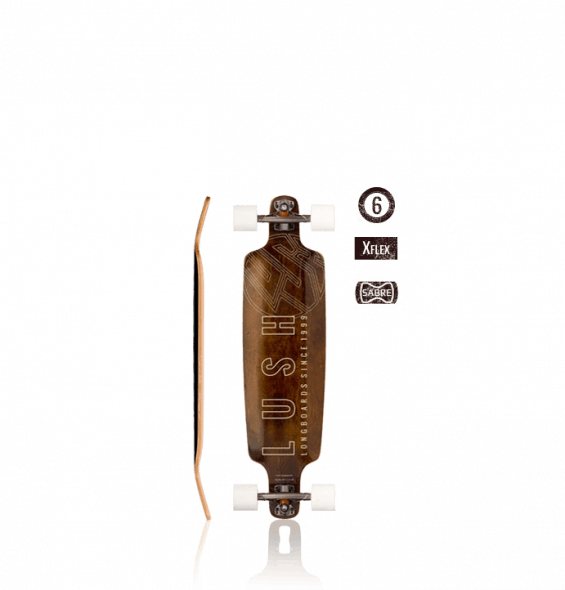 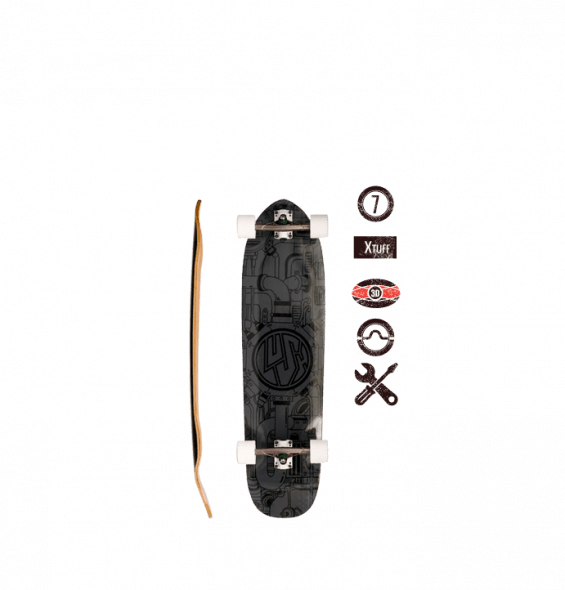 ), we figured it would be pretty silly to make such a nice deck and stick crappy no-name wheels and trucks on it. 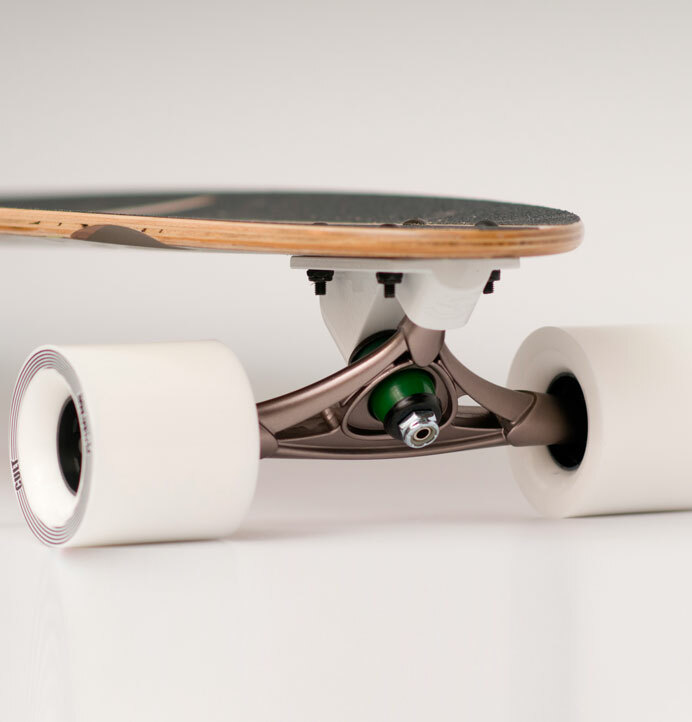 By selecting proper undercarriage, the Mako rolls faster, further and smoother, and turns way better than a lot of other cheaper pintails out there. 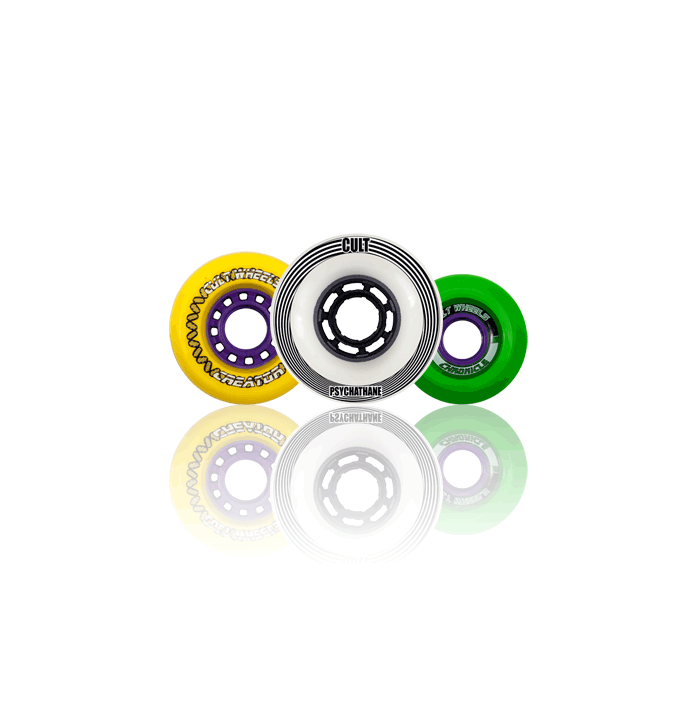 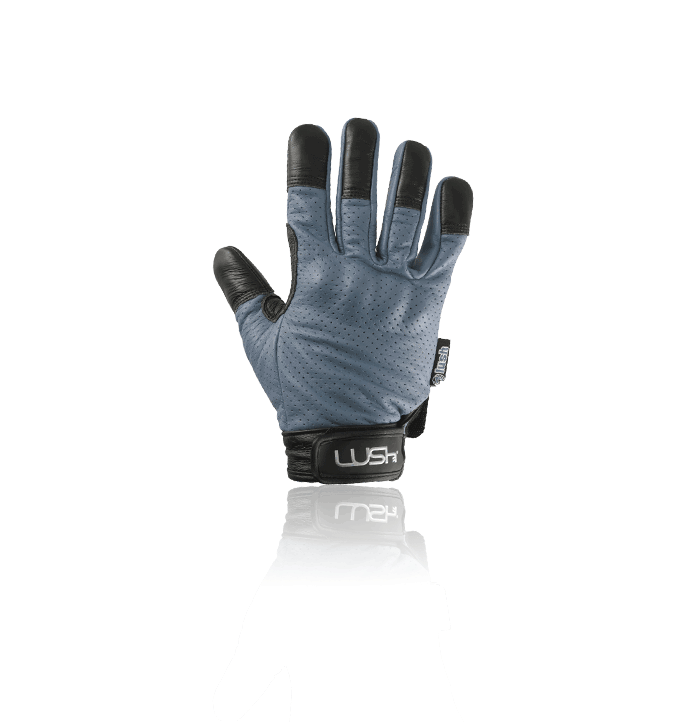 You can choose a setup to suit your budget, but we’ll never let you compromise on the ride!